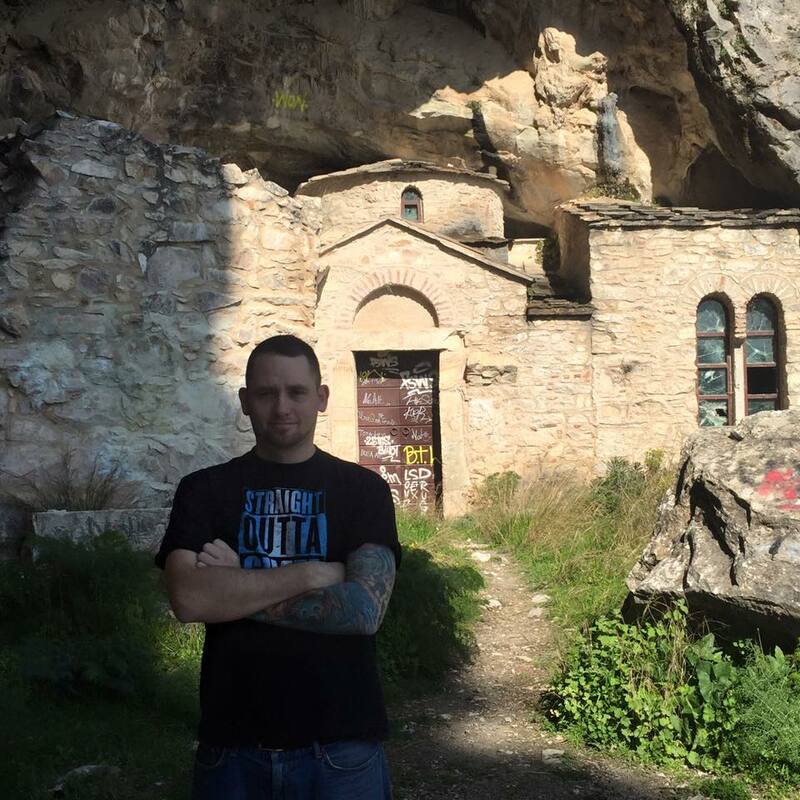 Located outside of Athens, Greece is a church built into a cave, hidden from the rest of the world. 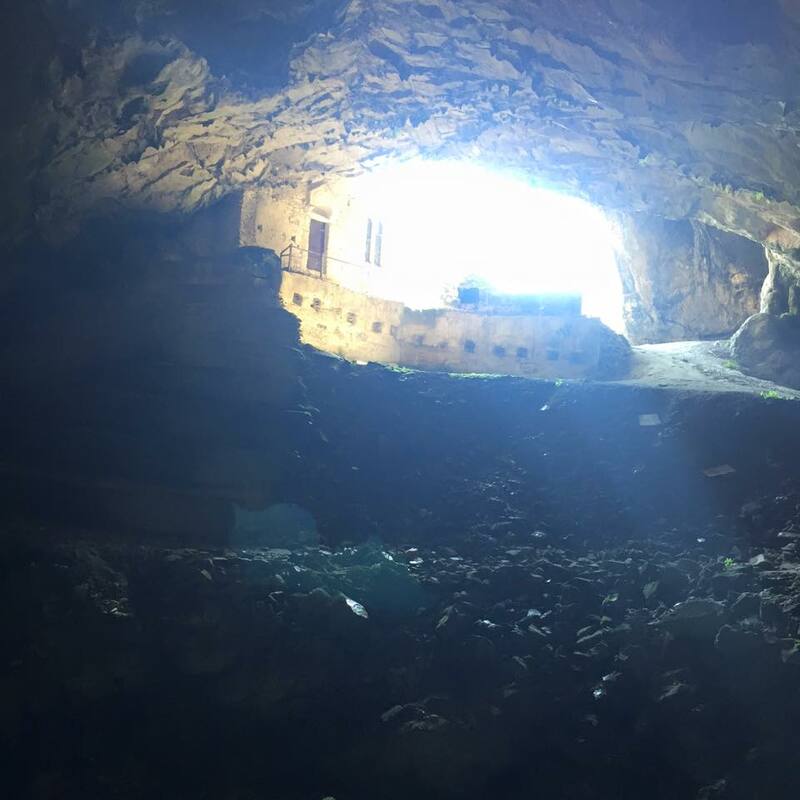 It takes some off road driving, a bit of a hike, and some hide-and-seek luck to find this awesome spot known as Davelis Cave. 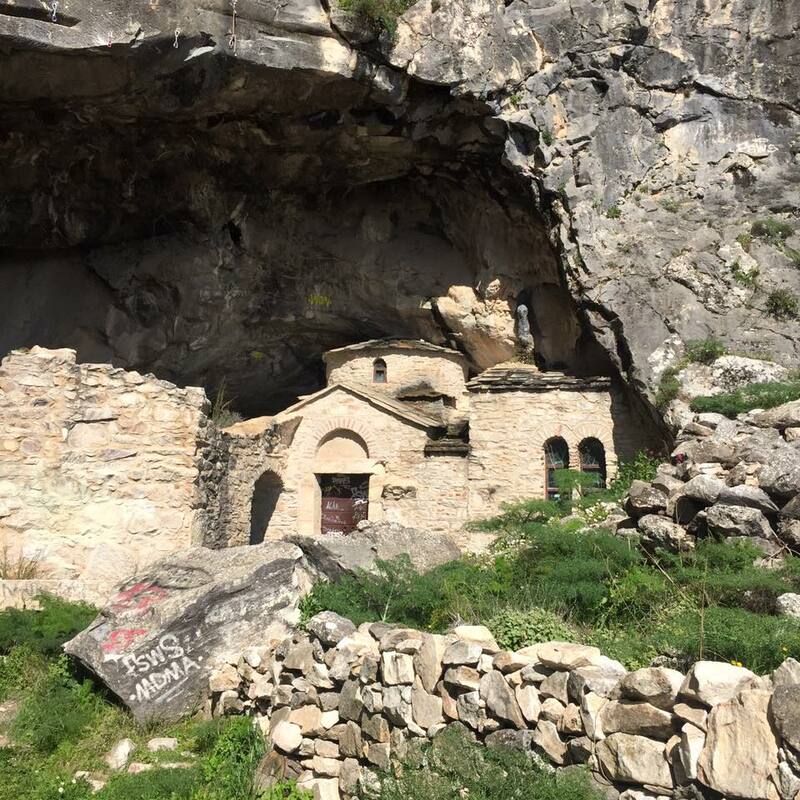 Much mystery, and legends surround the actual cave and double byzantine church built into it. It was used as a hideout for thieves, monks, and goat-footed gods….sure. Pendeli Mountain is historically important because it’s where the marble for the Parthenon was quarried. The stone was then moved down to the city with an intricate network of carts and pulleys, and you can even still see the tracks today. Whats the real and true story behind it? This is one location we have never been able to lock down the facts. What I can tell you from being there is it is somewhat difficult to get to. 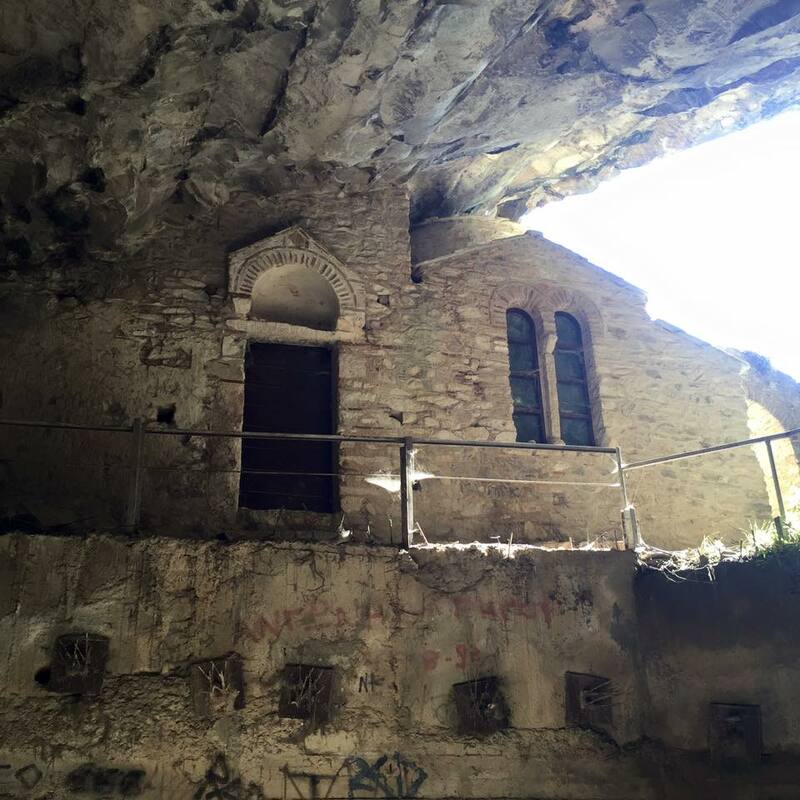 There is a church built into the rock that has a backdrop of an enormous cave. Which we could only go down a certain distance before needing caving equipment. Worth the trip? If you’re in Athens, I’d say so.